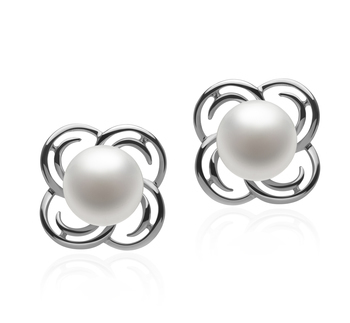 Nothing does classy sophistication better than the Lila earrings. 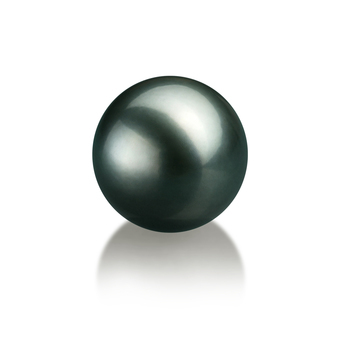 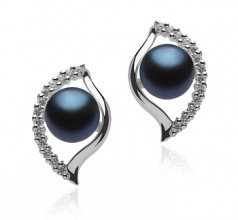 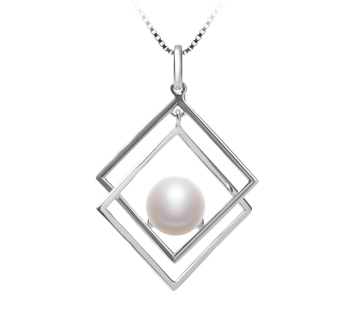 Amazing AAAA grade, 6-7mm black freshwater pearls get a burst of brilliance from their art-deco style frame. 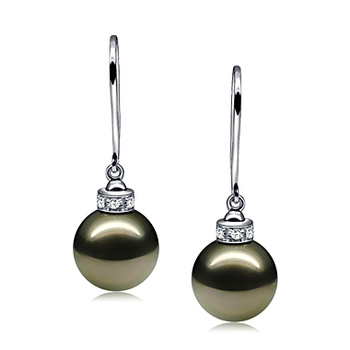 An accent of twenty-six clear crystal stones line one outer edge of the earring’s diamond shape while the other side has a gentle curve in gleaming silver. 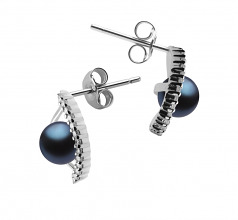 The antique vintage styling of the Lila earrings makes them the perfect finishing touch to a formal business suit and white silk blouse before easily transitioning to a night of dinner and dancing or an extravagant party. 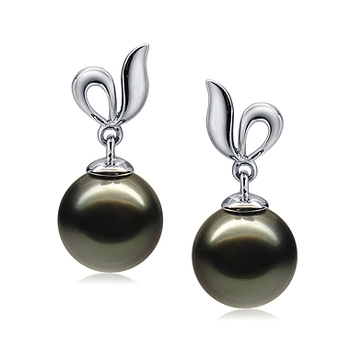 Pair the Lila earrings with the essential little black dress or a glamorous evening gown for a dazzling accent that lets you dress to impress. 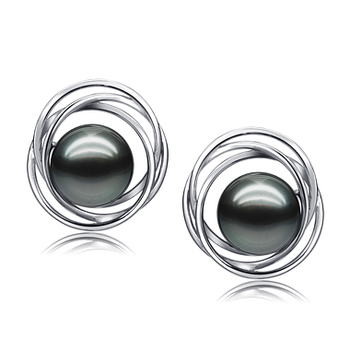 The bold and stunning Lila earrings are sure to get you noticed.